On Saturday evening, December 26th at 10:45 PM, a treasure was called home. Sis. 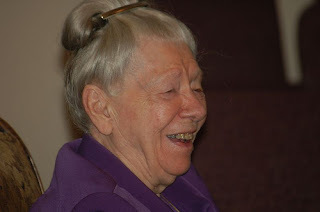 Nona Freeman, veteran missionary to Africa and one of the best-loved writers in Pentecost, at the age of 93, passed from this life peacefully at home with her family around her. 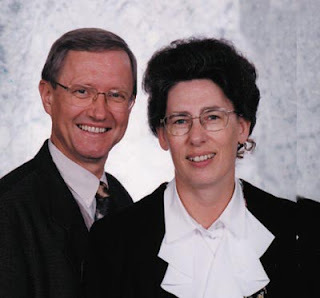 Sister Freeman and her husband, Rev, E. L. (Bug) Freeman, began their life in missions work in 1948 in South Africa. They left the United States with their five children ranging in ages from nine years to six months, and spent the next forty-one years in Africa. Even after Brother Freeman's death in 1999, Sister Freeman continued to travel, preach and speak. 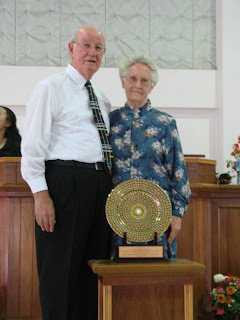 She served the Lord in ministry for seventy years and has touched thousands of lives. Only eternity will truly know the far-reaching impact this great lady had. Please be in prayer for the Freeman family during this difficult time. "Blessed are the poor in spirit: for theirs is the kingdom of heaven. Blessed are they that mourn: for they shall be comforted. Blessed are the meek: for they shall inherit the earth. Blessed are they which do hunger and thirst after righteousness: for they shall be filled. Blessed are the merciful: for they shall obtain mercy. Blessed are the pure in heart: for they shall see God. Blessed are the peacemakers: for they shall be called the children of God." This is an update about Sister Nona Freeman’s condition. As you were advised on December 8, 2009 hospice has been called in to her, since then she has lost so much strength and is no longer able to even feed herself. This week a hospital bed was brought to her home to better care for her and she made the statement. ‘This is where I will go to meet God.’ At that time it did not seem it would be a reality but even today she is weakened. Unless it is the will of God to intervene her home going could be anytime due to her present condition. She is not in any pain but at times is non-responsive nor has the strength to communicate. Next to Jesus and her ministry, her family, friends and supporters has always been her life. Per her own conversations to her staff this past week; it is her desire for her messages and devotionals on various forums to be continued. She personally spent time last week to prepare this and made the statement, ‘I have spent hours writing in airports, hotel rooms or other places for publications and recordings that I leave behind for the work of God. It is my desire my postings continue because so many are hurting and I won’t be here.’ True to her word, she has left months of prepared messages. Some of her family is with her and are doing everything possible to see she is comfortable. Every conversation is about her longing to see Jesus then ‘My Bug’ her beloved husband of 62 years also now gone on to be with the Lord. Where most of us have traveled areas she traveled CONTINENTS for the name of Jesus but now is anxious to reap her reward. Everyone is so supportive and the Nona Freeman family wants to advise everyone of her weakened condition because even they are shocked and asks for your prayers in the days ahead. 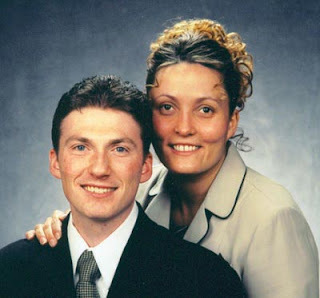 Not only is it their mother, grandmother, etc., but a gospel legend that has blazed the Apostolic trail for us to follow. The Stephen Bennett family has served 15 years with foreign missions in the Middle East while Lloy has spent 25years in the region. They have pioneered works in Saudi Arabia and United Arab Emirates and have completed a year and a half of Arabic language study. 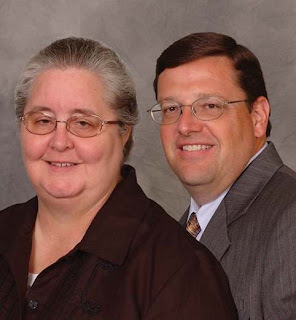 Steve served on the district board as vice president of the UPC of the GulfStates. In partnership with Home Missions Division, the Bennett family, including their two daughters, are the voices behind various characters in many of the episodes of the new "Kids Power Up" radio series. 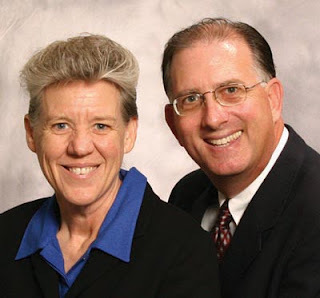 The Bennetts look forward to continuing the harvest in Israel/Palestine as superintendent of the Arabic works as well as serving as adjunct professor for the Jerusalem Biblical College. On November 17, 2008, I woke up with an intense feeling as if someone was stabbing my head with a knife. I was admitted into the hospital in Costa Rica, and many things were told to us during that time. From a bleeding vein in my head-to a stroke we heard it all. The left side of my face twitched uncontrollably and dropped during this time. I was experiencing severe weakness , and had to do physical therapy after being released from the hospital. We spent Thanksgiving in Costa Rica, but instead of getting better, I was getting worse. Bro. Howell and Bro. 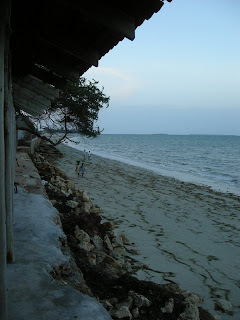 Hopkins expressed their concern, and asked us to return home for medical attention. Upon arrival to the states, intense medical exams began. My doctor told me that the medicine given to me in Costa Rica was causing different reactions in my body, and 2 of them were not approved in the United States, due to the adverse side affects, which I was experiencing. In January, I began to have seizures. We did not know what was going on. A preliminary EEG showed abnormalities, something that had been also noticed in Costa Rica. I was put on 1000 mg of Depakote a day. The seizures continued to worsen. My neurologist changed my medicine from 1000 mg of Depakote to 200 mg of Topamax. I then had my first gran mal seizure. The Topamax was upped to 500 mg. On February 9, I had 3 seizures. the Topomax was upped to 850. On February 10th, I had 4 more consecutive seizures, and my neurologist had me go into the ER. I was admitted. During my CT scan I had another seizure while the exam was being done. On that day I had 7 seizures in all. They started testing me. I didn't know then, but later my neurologist told me that because of all of the consecutive seizures, and since my white blood cell count was so low, they thought I had a tumor in my brain. THANK God-He is an ever present, all powerful God, and has His hand upon me at all times! After the testing no signs of tumors were found! After having a 72 hour EEG, the doctors switched my medicine all over again, and I was released on Valentine's Day from Baylor hospital. 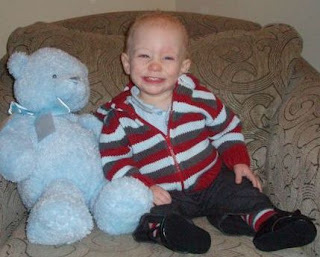 The seizures did not stop, but were more controlled due to the medicine. Then on February 27th, we were in Lake Charles, La, with our good friends, Rigo and Lettie Martinez (retired missionaries to Mexico). That day I had 2 seizures, one that left me unconscious on the floor. The next day was Sunday, and we ministered in their service, and then went on to Sunday night service with Pastor and Sis. Glen and Madonna Massey, where Bro. Jason Sciscoe was preaching. There was a tremendous move of God. How many of us go to a service, hear the last song, see the lights being turned off, and think that God is done for the night? Well, that is EXACTLY what I thought. I had put my energy into the services, and I was feeling not so great by then. We went to shake Bro. Sciscoe's hand. My husband conversed with him, and he asked if we were on deputation. My husband said, "No, my wife has been quite ill. Bro. Sciscoe turned to me, and asked me to place my hands in his. I did. He started rebuking the spirit of illness. When he did that, I felt as if I was going to have a seizure right there on the platform. 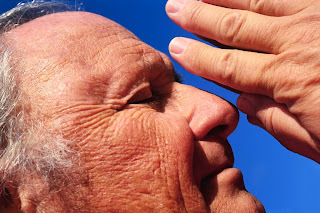 He grabbed my hands tighter, and said, "spirit of illness, I rebuke you in the name of Jesus, leave her body NOW." This second time, I felt as if a hand reached into my chest, and pulled the illness out of my body. When I went into see my neurologist 4 months ago, he said, "Jessica, how are you?" I told him, "the Lord healed me." He said, "oh, really how many seizures have you had in the last few weeks? (I had had 12 in the two weeks prior to my healing) Dr. Salmon then said, "well, we'll see in a month, if still no seizures, I'll believe that God has healed you." In that month I had NOT ONE seizure. PRAISE BE TO HIM! I walked into my doctor's office again. He asked if I had any seizures during that month. I told him no. He said, "Well, Jessica, since you had been having so many seizures, and you have not had any whatsoever in the past month, I also believe that God has healed you...."
I can say with all assurance..."We serve an ALL POWERFUL, ALL HEALING, ALL Glorious God!" Greetings to all of our precious friends in the Name of Jesus! This update brings exciting news! A few weeks back, we had a worker in our home. We got on the discussion of baptism. He asked for some literature. He then took the tracts to his pastor. After reading the tracts, the pastor requested a meeting/Bible Study with us. 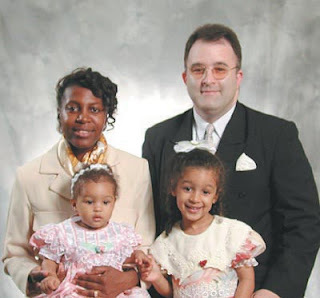 Great News...At the end of this month, Pastor Simeon will be re-baptizing his church family in the Name of Jesus!!! On the Sunday that we visited his church, we had 3 receive the Holy Ghost, 4 testified of instant healings, and 2 stood and testified that after the sermon, they felt that 'skin had been removed from their eyes' as they saw the true One God! Incredible!!! God is doing great things in Togo and we are thrilled to serve here with the Adam's! As you can imagine, the devil has not sat idly by throughout the revelation of the One God to Pastor Simeon. You may have noticed that our family was the prayer focus on the FMD Prayer Calendar for this past Sunday. We are praising the Lord for the prayer covering that was over us. Read below the story of our 'break in' on Sunday night. Please, note that here in Togo, being caught as a thief is a major crime. They generally take the thief out, put old tires around him, and burn him to death. Mike has already witnessed "a burning" in our first 5 months here in Togo! If you are a thief, you do not want to get caught! God is so good to us and surely his angels were keeping guard! As far as we can tell, the only thing they successfully stole was a gas tank for the stove that was hooked to the grill outside. Of course, the kids are upset and scared. We ask you to please pray for our family, as we try to settle everyone back down. Bro. Adam's has been with us, guiding us through the process of how to handle this situation. Thank the Lord for the Adam's! We want you to know that all is well and God is doing great things in Togo! Thank you so much for your love, prayers and support. We cannot be successful without you standing with us! We are very thankful for our Mission/Church Family! Please pray for my dad, Milton Rhoads, who is undergoing chemotherapy and radiation treatment for stage four cancer. Please pray for our grandson, Ethan, (son of Joel and Lisa, missionaries to Gabon). One of his ear drums ruptured and the other ear has an acute infection. The Dr. has put him on strong antibiotics. 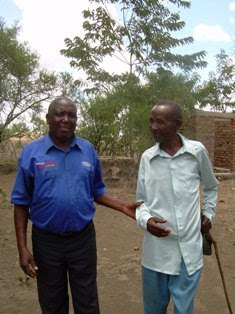 Pray for complete healing and that he has no hearing loss. Thank you. The oncologist diagnosis for Corliss is that she has Third Stage Diffuse Large B-Cell Non-Hodgkin Lymphoma. The doctor was very positive about the success of treatment and with our faith in God as The Healer we are believing for her complete recovery. They allowed her to come home late last evening to rest a couple of days and gather her thoughts. We have been bombarded with a mountain of information the last five days. She will be hospitalized again on Monday to begin chemo-therapy and be in the hospital for four or five days. After that, the treatments will be done on an outpatient basis and continue for at least the next six months. Prayer is our only need. Doctors can help but God is the One who heals. Please pray for Liberia as it is being invaded by hordes of caterpillars. Liberia is being invaded by hordes of army worms (caterpillars). The caterpillars have attacked over 45 villages/towns causing mass destruction. They are destroying all vegetations and grass top roofs. Liberia is already suffering from a food shortage and they have destroyed many farms. Thousands are displaced from these villages because when the caterpillars come, you cannot stay. It's a real plague. Liberia does not have the equipment to fight these creatures. Unless God help us they could cover the entire country in a short time. Click HERE to read more about this report from CNN. *During a regional conference seventeen were filled with the Holy Ghost. *Eighteen people were baptized in Jesus' name in a major city. *During December, three people were baptized in Jesus' name. *During revival services/seminars, eighty-six received the Holy Ghost and ten were baptized in Jesus' name. There were also at least ten people interested in attending the Bible school. *The Sunday school received a package from the Louisiana District Sunday School Department. The package included a portable puppet stage, two puppets, and resource materials for children's ministry. Dozens of children and youth20repented the first time the puppets were used. A drama team will trained to become puppet masters for Jesus. 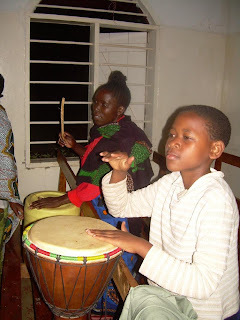 The Sunday school teacher training and Bible studies are also going well. Eight new teachers are trained and will begin teaching soon. 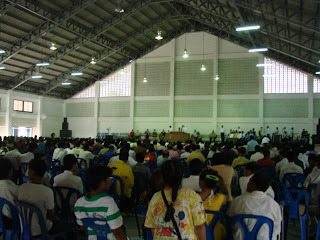 In 2008 more than 1,650 Bible studies were taught, and there were more than 880 visitors. *During several services, forty-nine were baptized in Jesus' name and fifty-two received the Holy Ghost. 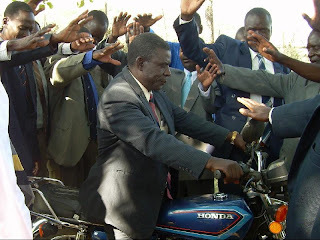 At the annual national crusade, 2003 were filled with the Holy Ghost. *Leadership Conference was held with national leaders all coming together for budget/planning sessions. *In New Years services around the country more than 100 people were filled with the Holy Ghost. 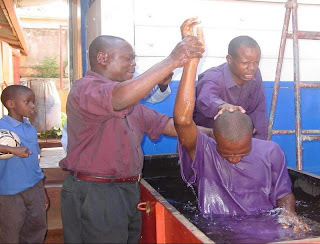 Many were also baptized in Jesus' name including a Trinitarian pastor. There was a three year old boy who could not walk. After prayer he began walking. In a special meeting, several were healed: one person was healed of tuberculosis, several were healed of severe headaches, and two were healed of bleeding ulcers. 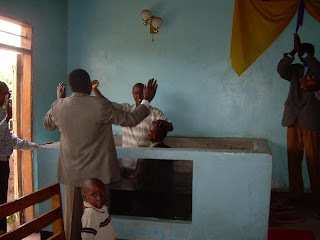 In another region, sixteen repented and seven were baptized in Jesus' name. In one of the local churches the pastor testified about God's provision. Earlier he didn't have seed to plant his farm. After prayer was made, having faith in God to answer, he left and started home. Before he left the Bible school grounds someone had given him bus fare to get home and before he reached home someone had given him seeds to plant his farm. 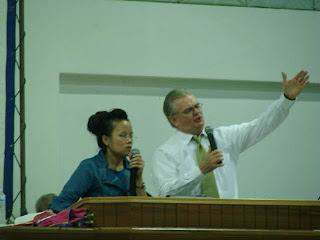 *During the national conference, there were fifty new people filled with the Holy Ghost. 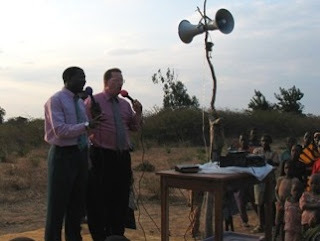 A miracle offering of $3,300 was received for the continuation of the Bibl e school building. 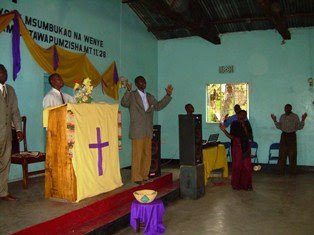 A preaching point was opened following the conference. In a new church seven were baptized in Jesus' name, and four received the Holy Ghost. In another new church, two received the Holy Ghost. During a Sunday morning service in one church, eight received the Holy Ghost and ten came forward to be baptized. 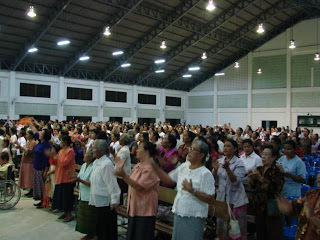 *A full report of the Regional Prayer Conferences of 2008 showed totals of 4,453 in attendance with 101 receiving the Holy Ghost and 105 being baptized in Jesus' name. Please pray for my husband Ronald Cole. A short time ago my husband, Bro Ronald Cole from Chipman, N.B. had a routine checkup on his aorta. Everything was fine but during the test they discovered a lump on his thyroid. Tomorrow, January 22 at 1:30 at the St. John Hospital he will have surgery to have the thyroid removed. Please keep him in your prayers. Please pray for the Mkwane Family and for an end to the violence. 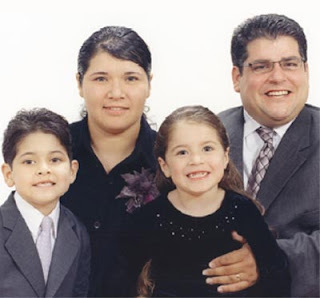 This family attended Turning Point until moving to another city for work. They had been in Johannesburg for holiday and were leaving today. As they left 8 men hijacked the car shooting Mrs. Mkwane through the heart, she was four months pregnant and the baby died as well. They also shot the 11 year old son but he lived and kidnapped the daughter who has not yet been found. We are having terrible violence between the Xhosa and the Zulu in certain areas near our home. Last night a policeman was shot in the violence. Please continue to pray for the accreditation of Harvest Bible College and the visa situation for the AIMers who want to come. Many thanks to all who prayed for the accreditation inspection of Harvest Bible College. This was a very intense time and the enemy has fought very hard to frustrate and discourage us. The inspectors made many favorable comments about the college and also gave us areas of weakness. The final decision will be made on February 5, so we ask for your continued prayers. We are working on some of the recommendations that were made to us so that the accreditation agency can see them before the 5th of February. Please pray that God will give us wisdom and insight into all we need to do as well as the physical and mental strength we need. Also, please pray for the UPC of Great Britain & Ireland as we work on immigration and visa matters for missionaries and AIMers desiring to enter the U.K. The paper work has been done and now we are believing God for a quick and favorable outcome. Pray especially for John and Susan Beek who need to get here quickly. Please pray for the healing of my Achilles tendon. I have a very special prayer need that if convenient, you might post to the missionary family. About a month ago I tore my right Achilles tendon and will be in a cast for 4 months. This has been a very difficult adjustment for me and has produced challenges I did not anticipate. Suffice it to say, I would appreciate the prayer covering provide by this remarkable group of laborers. From Steve Bennett (Middle East): Please pray for my father. My father had a heart attack Sunday night. He patiently waited, sitting in a chair for six hours, because he didn't want to wake my Mom....By the time they got to the hospital and got things sorted out...they found renewed damage to an aneurysm that was worked on a few years ago...that left him greatly weakened. My Mom has been told that she should consider putting him in a rest home environment because he will need constant care, at least for a while...hopefully until recovered sufficiently to operate okay at home. Pray with me that he regains his strength and mental functioning sufficiently to live at home. Today has been a little more challenging for Ouma. I went to see her last night to tuck her in around 8:15 and she was already sleeping soundly. I stopped by the nurses station for about 15 minutes to ask how Ouma had been - while standing there, Ouma called the nurse for assistance so I was able to go in and see her. Yesterday Ouma was taken off of all anitbiotics. Last night she began wheezing and coughing while I was there. The nurse originally said it sounded just to be congestion in her throat because she had no rattle and was moving air very well. I left around 12:15 a.m. this morning. I spoke with Sandra this morning to find out that doctors have restarted antibiotics for Ouma and are giving her Lasix to remove fluid. She had improved and continues to do so. But while I was there last night, she was having a lot of trouble resting and her breathing was labored. She does not rest well when people are in the room so I told her I was going to leave - she asked me to stay because she did not want to be alone. 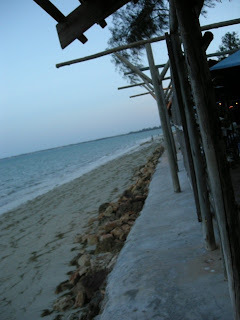 I'm glad to have stayed - we did not talk much - I just wanted her to rest. But she would wake every 10 to 15 minutes to cough or get a sip of water. So much of the night was a chore for Ouma. She was exhausted from the physical therapy she had yesterday - simple things like getting her water or kleenex was almost too much for her. In the past hour, Sandra says Ouma seems to be doing better than yesterday and just looks tired. It does not look like Ouma will go to the Rehab hospital today. The little that Ouma and I did talk last night was encouraging. She continues to be thankful to Jesus for where she is and what she is going through. She speaks in tongues often. As she was laying in the hospital bed last night, she looked at me and said "I have been led by the Holy Ghost many years - and I am STILL led by the Holy Ghost. I am led by the Holy Ghost sitting in this bed. I am here in Jesus' Name".